Google has released their new Google Wallet app, a cunning piece of innovation that “makes your phone your wallet,” by letting you make purchases with your Android smartphone. Using the new-fangled NFC (Near Field Communications) technology, the app stores ‘virtual versions’ of existing plastic cards on your phone, so you can just tap your phone against a reader to pay for items and redeem offers. Billed as ‘future of commerce,’ the NFC technology is currently only fitted to the Nexus S 4G by Google, which has just been released on the US Sprint network. 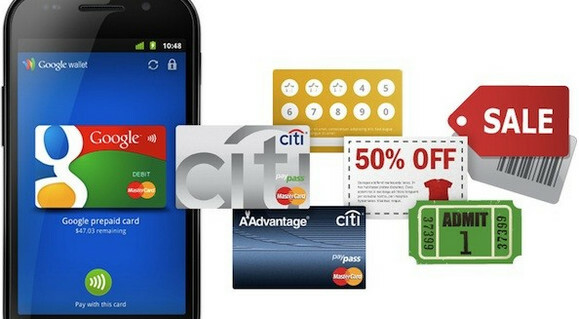 Google is working with Citi, MasterCard, Visa, American Express Discover and First Data to provide a seamless system where users “tap, pay and save,” with NFC payments automatically redeeming special offers and earning loyalty points. If the futuristic plans come to fruition, NFC phones will store items like boarding passes, tickets, ID and keys, so the days of walking about with a wallet stuffed full of cash, loyalty cards and credit cards will be long gone. NFC is also on the UK version of the Nexus S isn’t it?